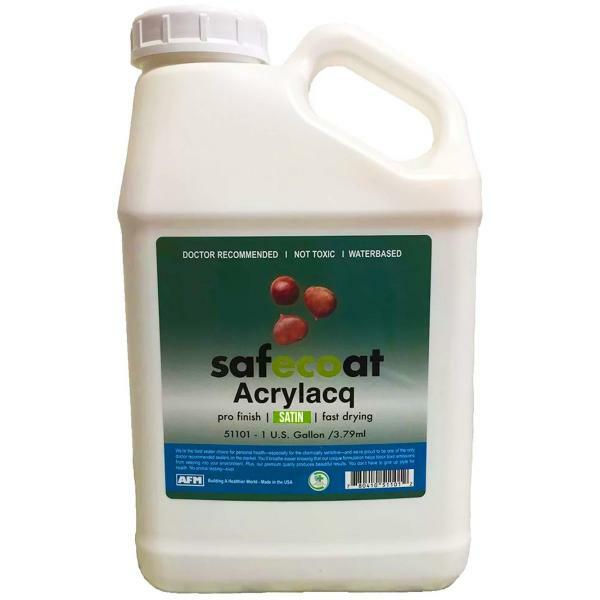 COVERAGE: One gallon of Safecoat Acrylacq covers approximately 350 square feet in one coat depending on method of application and surface porosity. Never apply more than two coats of Satin as it can begin to have a milky apprearence. 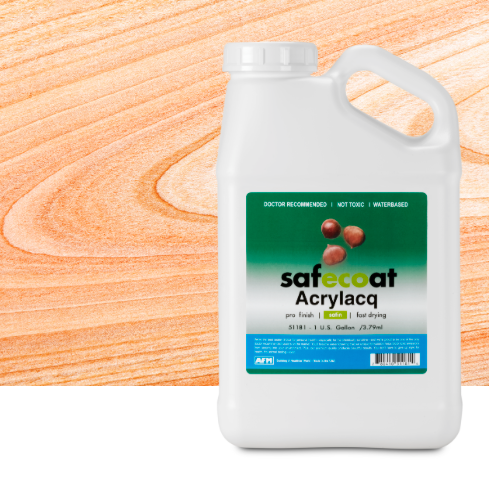 For the best results start with gloss and top coat with the satin.